It’s past Labor Day, and for weeks already, pumpkin beers have been in ample stock at bottle shops nationwide. Don’t be surprised if Christmas/holiday seasonals are available in the next few weeks. Whopperjaw decided to drink while the drinking is good, so contributor Mark gathered a couple of friends for an unscientific blind tasting of pumpkin product. While we attempted a fair geographic representation, the bottle shop we selected from is Belmont Station in Portland, Oregon. The selection in your area, obviously, will vary greatly. 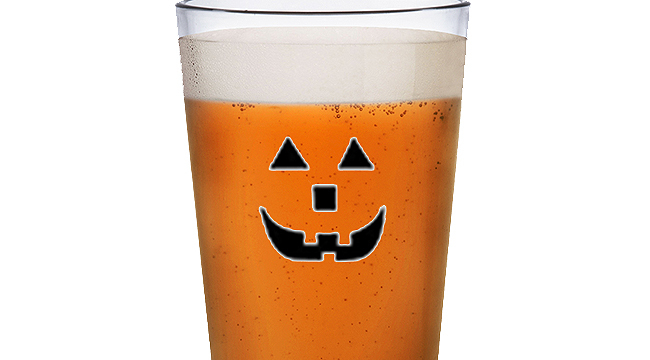 There are scores – if not hundreds – of pumpkin beers out there. Choose wisely, friends. We welcome your suggestions and favorites in the comments section. The problem with Shipyard starts before you taste it, then gets worse. The can reads, “malt beverage with natural flavor added.” For us, that begged the question: “Just what are we drinking, Smirnoff Ice?” Tasting notes ranged from “weird” to “cinnamon nightmare” and, perhaps inevitably, replacing the “p” in the name with another consonant. Interesting, then, that last place in our blind tasting went to Anderson Valley, the beer most enthusiastically recommended by a Belmont Station clerk. While I found it inoffensive, my co-tasters commented on its “questionable” and “resiny” flavor. The unanimous victor was Elysian. Comments ranged from “right on” and “well-balanced” to “subtle vegetal smell.” I’ll add, parenthetically, that I have never tasted an Elysian brew that I didn’t like. Mark Woodlief wrote for the cool '90s magazines that didn't make it – Option, Raygun, Warp, The (Seattle) Rocket, CMJ – plus some daily and weekly newspapers, too. Seeing all the great bands – Mission of Burma, Husker Du, Volcano Suns, Flaming Lips, Wire, the dBs, the Feelies, Patti Smith, ad infinitum – he has seen has left him Whopperjawed. 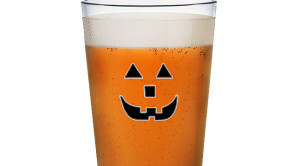 At least 2 Whopperjaw contributors like Southern Tier Pumking and Ace Pumpkin Cider. Looking for other suggestions . . . what does anyone else have to say? I’m from NH and agree Pumpkinhead is the worst offering in our area. My wife and another friend disagree, but they are not “into” beer as much as I am. Too light, a bit heavy on the cinnamon and nutmeg, and MALT BEVERAGE…wtf, over? The best I ever had is no longer made – a Pumpkin Ale made in Lowell, MA at the Brewery Exchange by Concord Brewing Co. The brewering operation was taken over by Ipswich Brewing and most recently opened as part of the regional Beer Works chain. Some of the best offerings I’ve had lately are Long Trail Pumpkin Ale (my new fave), Long Trail Imperial Pumpkin, Smuttynose Pumpkin Ale, and Wachusett Pumpkan (of course…in a can). I think you’re right, Jason, that the porter style doesn’t lend itself to spices, et al.